Tragic yet inspiring life story. 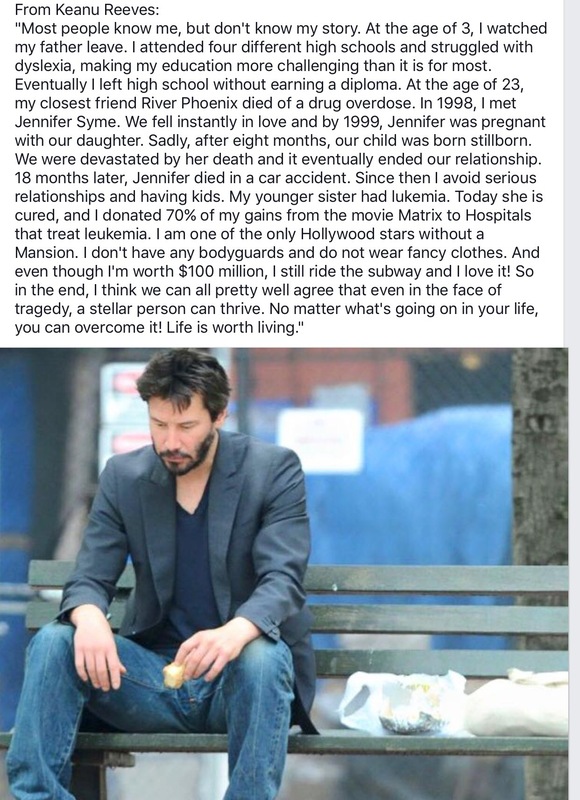 I did not know this about Keanu. Eric, I like your comment. Yes, what a tragic yet inspiring life story it is! I am going to reblog it. Thanks very much Nelson for publishing it. It is truly inspiring! This is a very inspiring story!